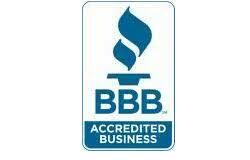 We’re proud to be the highest rated residential concrete contractor in San Antonio. At Bankston Concrete Construction, we enjoy working with residential customers and exceeding their expectations. We offer a wide variety of residential concrete services to meet your needs. If you need commercial concrete work completed, check out our commercial concrete contractors page and give us a call. We’d love to hear from you! 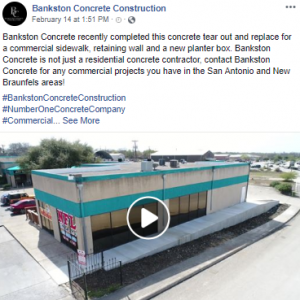 Bankston Concrete Construction is known for being one of the premier concrete patio contractors in San Antonio, TX. Whether you need a brand new patio, a concrete patio extension or a full tear-out and rebuild, we have you covered. Your custom patio will be built with the highest quality materials that are made to stand up to the tough Texas climate. The best part is your new concrete patio will be maintenance free! No more worrying about wood rot, termites, staining and sealing. If you’re interested in a stamped concrete patio or stained concrete patio, we offer a wide variety of stamping and staining options. Click or call today to get a fast and free estimate for the concrete patio you’ve been dreaming of! 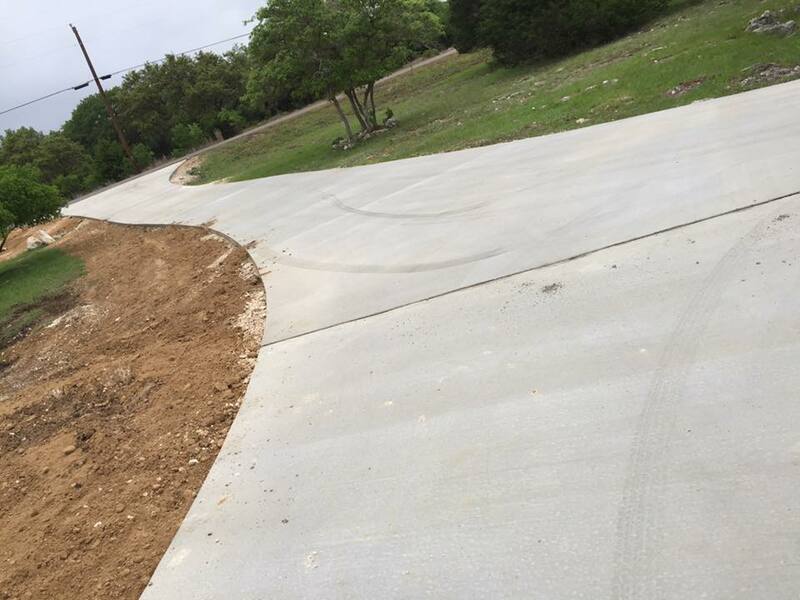 At Bankston Concrete Construction, we specialize in constructing concrete driveways, driveway extensions and retaining walls of all shapes and sizes. We only use the highest quality concrete and rebar. This ensures that your driveway, driveway extension or retaining wall will stand the test of time. You can also take the look of your driveway and retaining wall to the next level with our custom stamping and staining options. Click or call today to get a free estimate and $250 off your new driveway, driveway extension or retaining wall! Concrete sidewalks and walkways can boost the appeal and value of your home. We excel at providing homeowners with many different shapes and sizes of sidewalks and walkways that complement their homes. We also offer a full line of stamping and staining options to provide a beautiful no maintenance finish that you’ll enjoy for years to come. Click or call today to get a fast and free estimate for your new sidewalk or walkway! If you are looking for a strong, reliable concrete slab foundation that will stand the test of time, then you’ve come to the right place. 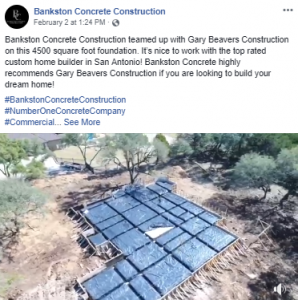 Bankston Concrete Construction is proud to be the highest rated foundation contractors in San Antonio. We use high quality concrete and rebar in our concrete foundations while still providing you an affordable rate. Being local foundation contractors gives us the advantage of understanding the Texas soil and climate that other foundation pouring companies don’t have. Click or call today to get a fast and free estimate for the solid concrete foundation you need! Complete the quick estimate request form below or call today to get a fast and free estimate on your custom design!